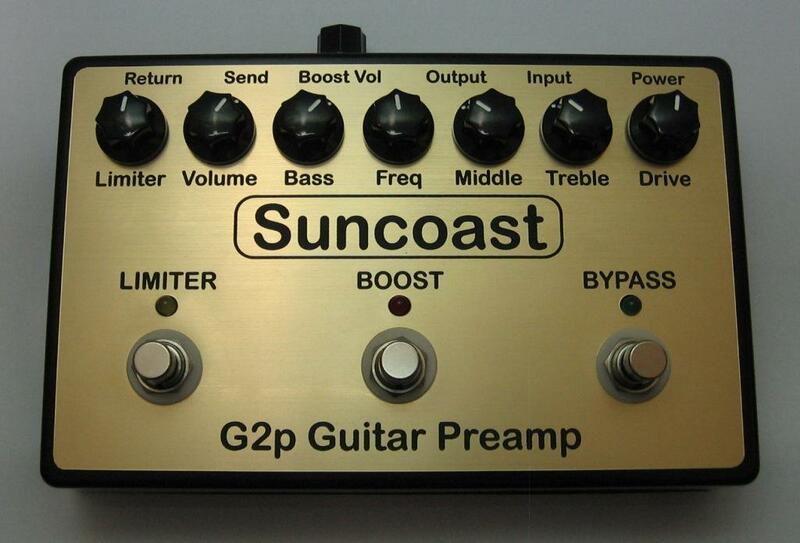 The Ultimate Solid-State Guitar Preamp in a pedal. Use your guitars' volume to go from Clean to Crunch. The Boost footswitch adds an extra Overdrive Preamp channel in parallel for soaring, harmonic rich Leads. Internal trimpots for Boost Mode - Drive, Treble, Middle and Bass EQ. Dip switches for tweaking Clean and Boost Preamps. Limiter footswitch with variable Threshold control to keep a lid on your snappiest Rhythms. Ultra quiet 560KHz switching DC supply for +/-15V internal operation, 26V Peak to Peak Dynamic Headroom.